Will My ATM Cards and Appliances Work in Canada? Will My ATM Cards, Cell Phones and Travel Appliances Work in Canada? That depends. If you are traveling from the US, the Caribbean or Mexico to Canada, your hair dryer, travel iron and cell phone charger will work. Canadian electricity is 110 volts / 60 Hertz, as it is in the United States. If you are visiting Canada from another continent, you will probably need to purchase voltage converters and plug adapters unless you own dual voltage travel appliances. Camera chargers, computer chargers and cell phone chargers are usually dual-voltage, so they will work without a voltage converter. If you are traveling to Canada from a country that uses large three-pronged plugs, cylindrical two-pronged plugs or slant-pronged plugs, you will need to buy a plug adapter for your charger. These adapters are easy to find; most large big box stores, including Walmart and Tesco, sell them, as do travel stores and online retailers such as Amazon. If you need to take a hair dryer to Canada, bring one that is designed to use 110 volts or that is dual voltage. Most large hair dryers are not dual voltage. While it is theoretically possible to use a voltage converter with a single voltage hair dryer, this is not your safest choice. Travel size voltage converters are not powerful enough to handle the electrical load from larger travel appliances. Tip: Check your hair dryer's voltage carefully and be sure it is set to 110 volts, as your hair dryer may catch on fire if you use it incorrectly. On the other hand, many hair straighteners are dual voltage appliances. This means that all you need to bring is a plug adapter. Be sure to switch the hair straightener from 220 volts to 110 volts / 60 Hertz. Travel irons may or may not be dual voltage. Check your travel iron before you leave home. Irons draw a lot of electricity, so a single voltage travel iron may not be safe to use with a voltage converter. Alternatively, it might not get hot enough, if attached to a voltage converter, to remove the wrinkles from your clothes. Tip: Before you pack your travel iron, ask your hotel staff or vacation cottage owner if an iron is available for you to use. American cell phones usually work in Canada, depending on your cell phone provider. Before you travel, contact your cell phone service provider to make sure your telephone is configured to make and accept international calls. Otherwise, your cell phone may not work once you cross the border. Unless you have a good international calling, text and data plan in place, expect to pay hefty international roaming charges. While your cell phone might work in Canada, you may wish to consider alternatives to calling family and friends. Setting your phone to airplane mode will still allow you to use WiFi, so you can communicate via social media message. Apps such as Skype and WhatsApp allow you to make calls and send messages, too. Canada’s ATM machines “talk” with many of the major ATM networks, including Cirrus and Plus. If your bank or credit union participates in one of these networks, you should not have any trouble using Canadian ATMs. Consult with your bank or credit union before you travel, just to be sure. If you are traveling in New Brunswick or Québec, the ATM's on-screen instructions will probably be in French unless you are in western New Brunswick. Look for the word “English” or “Anglais” after you insert your ATM card to select English-language instructions. Once you choose that option, the rest of the instructions will appear in English only. 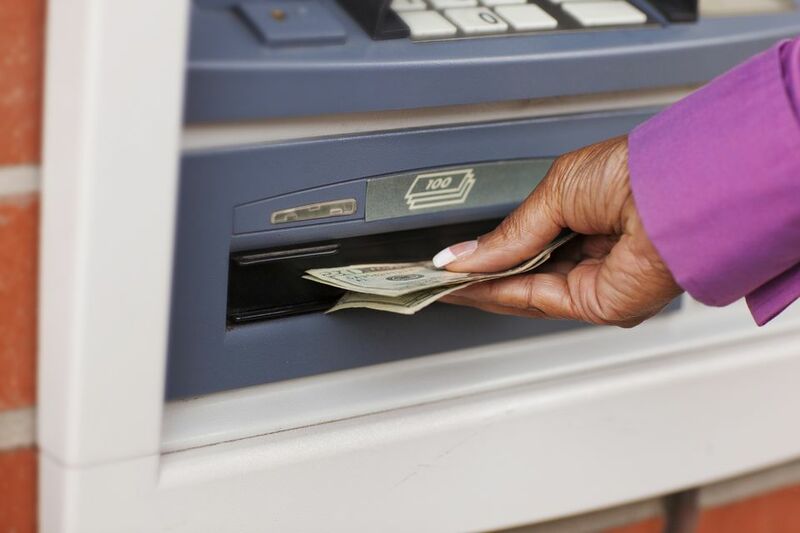 Save your ATM receipts so you can verify them against your bank statement when you get home. Tell your bank or credit union right away if you notice any discrepancies. Tip: To prevent your bank or credit union from freezing your ATM card, be sure to notify the fraud protection department that you will be traveling to Canada. Some banks and credit unions want to know exactly which places you will visit, while others will simply place a note in your online record of your travel dates to Canada.